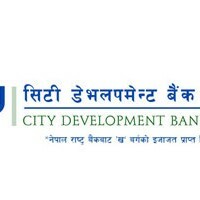 City Development is a certified development bank as per the Bank and Financial organization Act 2063 and Company Act 2063 from Nepal Rasta Bank as ‘Kha’ graded. People involved in industries, business, education, health, engineering, banking, financial organization, British Gurkha, development project management and social service are promoters of the bank. The bank is committed to fulfill all the financial requirements of the people from different walk of lives very simply, fast and in a straightforward manner. Located in the financial hub of the iconic beauty, Pokhara City’s Chipledhunga, this Bank is a combination of human skill and modern technologies which will provide modern banking facilities in a safe and sound way. All their services will be leading to satisfy customers and give them optimum outcome. Therefore their role will be focused on being a dependable and reliable financial mediator to their customers on securing their capital and adding to their wealth. It is their strong conviction that secures capital and productive use of it is the way of creating wealthy society and supporting economic growth of the country. City Development Bank has a foresighted policy to be established as one of the potential national development banks. Provide fast and trustworthy value-added banking services to the customers according to their interest which guarantees service, security, satisfaction and adequate consideration. To built it up as the first choice bank of the customers. Invest collective savings in industry, business, agriculture, tourism, hydro-power, education, health and other economically potential areas of occupations which support economic growth. Contribute to economic growth of society and the nation by creating opportunities for industrialists, businessmen, jobholders, farmers, other organizations and people to generate capital and wealth. To increase interest and trust of the people in banking, incorporating high professionalism and moral values on banking field. Creative help to social development works and environment conservation, fulfilling social responsibilities as a responsible cooperative citizen. Trustworthy safeguard of savings and to getting its adequate consideration. Get respectful, welcoming and friendly customer service. Get money sent from your relatives in any part of the world. Get facilities to deposit and withdraw money anytime any-day.